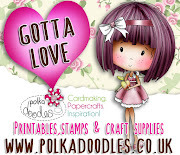 Watch our lovely Nikky on Create and Craft TV Today!!! You so don't want to miss this! How super amazing do they look!! 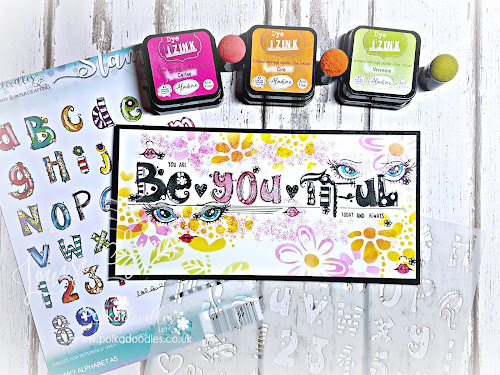 Now lets take a look at the fabulous creations this week... however we need to give a warm PD welcome to our newest PD DT team members; Jackie and Jessie. 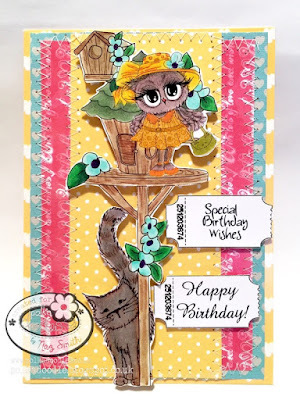 Jackie - For the new challenge of using patterned paper I have made an easel card using the digi "Maddie With Present". She is such a sweetie! Details for colouring are on my blog. 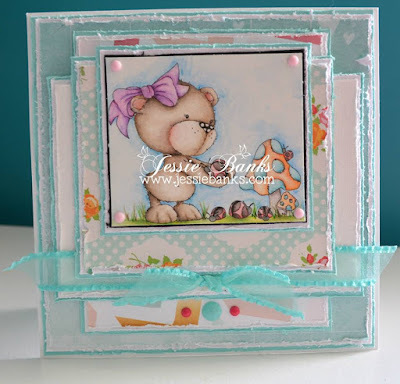 Jessie - I have used Winston Bear Etty Friends for this card and coloured her up with my inktense pencils. I have used 3 patterned papers, I tend to use lots and lots of layers on my cards so I even tried to keep it to a minimum this time. The white pannel actually has flowers and dots embossed on it even though the camera didn't pick it up very well. 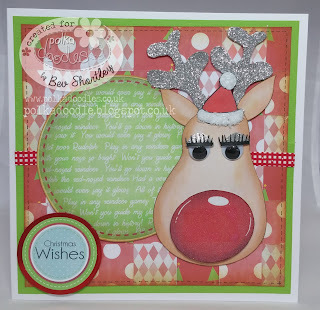 A little ribbon and some enamel dots finish off this card. Naz - The image I have used here is a combination of three separate digis. 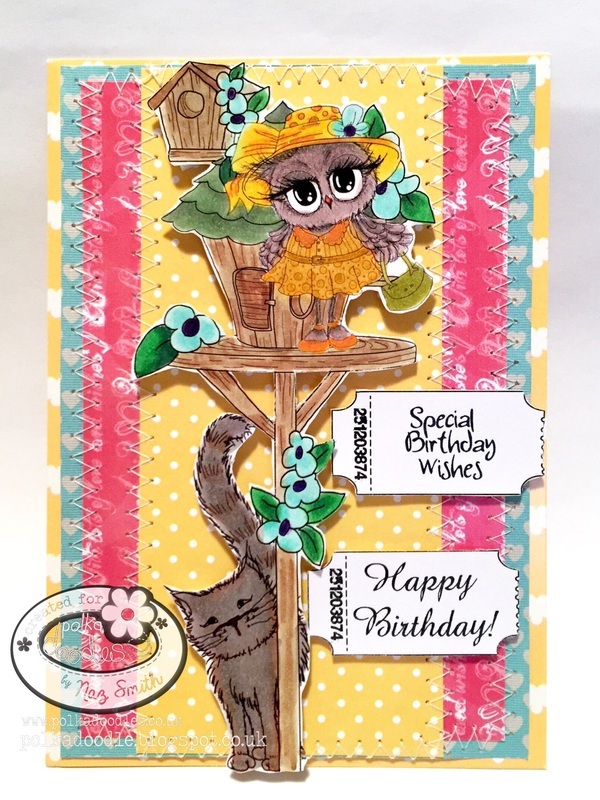 The owl called HATS OFF TWIGGY is from Twiggy and Toots collection. BEAUTIFUL BIRDHOUSE 1 and the cat. I coloured the images with Copics and used foam adhesive to adhere it to the card. 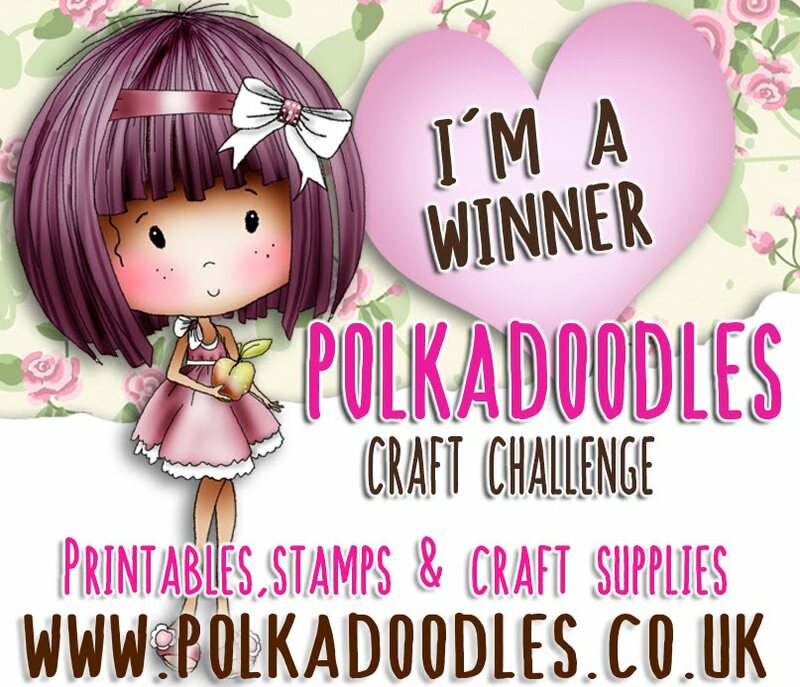 The Happy Birthday sentiments that I have used are also from Polkadoodles. To finish off the card I added some stitching for embellishment. Ria- hi, this week I am showing you Snow White coloured with pencils. I created the card with the Eden Collection. 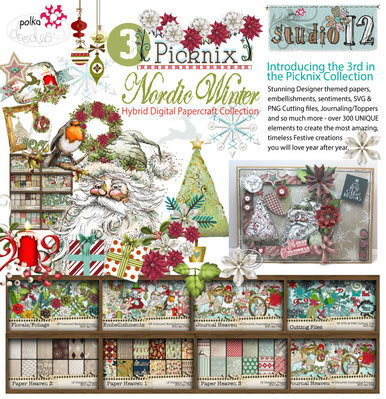 Hi Bev here with my idea for 2 or more papers. 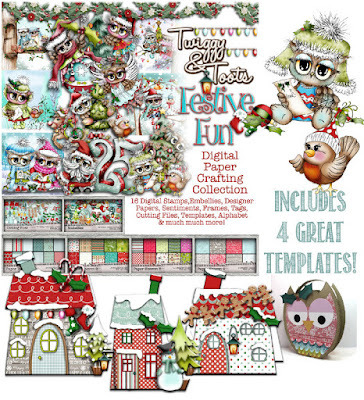 I browsed through my Polkadoodles collection and decided to go back a fair way..... to Paper Boutique 2 Creative Christmas Collection there are some fabulous ideas and templates on this collection. Feel free to pop over to my blog to see how I achieved this look. Anita - Hi there today for my 2 papers or more inspiration I used the fabulous Work and play 11 and the skater girl image is available Here.. The papers are super lush and I have used 3 different ones, plus the awesome skull cutting file. 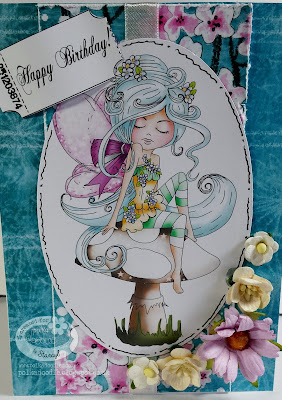 Jenny - I have had a mix of collections for my card this week, my two patterned papers came from Dollie Daydream Goes East and my topper is from the Serenity collection. Yvonne - I had a wee break but missed my teamies so much I snuck back into the team when Nikky wasn't looking! It was inevitable that my first make back was going to be Serenity. I used Serenity Butterfly which you can get as a single digi image or as part of the digi download collection. Serenity is also available as a CD-Rom too. I used one of Nikky's Frame Digi Files, this is Frame 1. 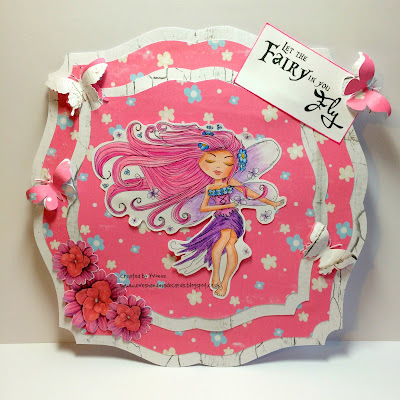 I used one of the papers from Serenity and one of the papers from the Distressed Wood collection. 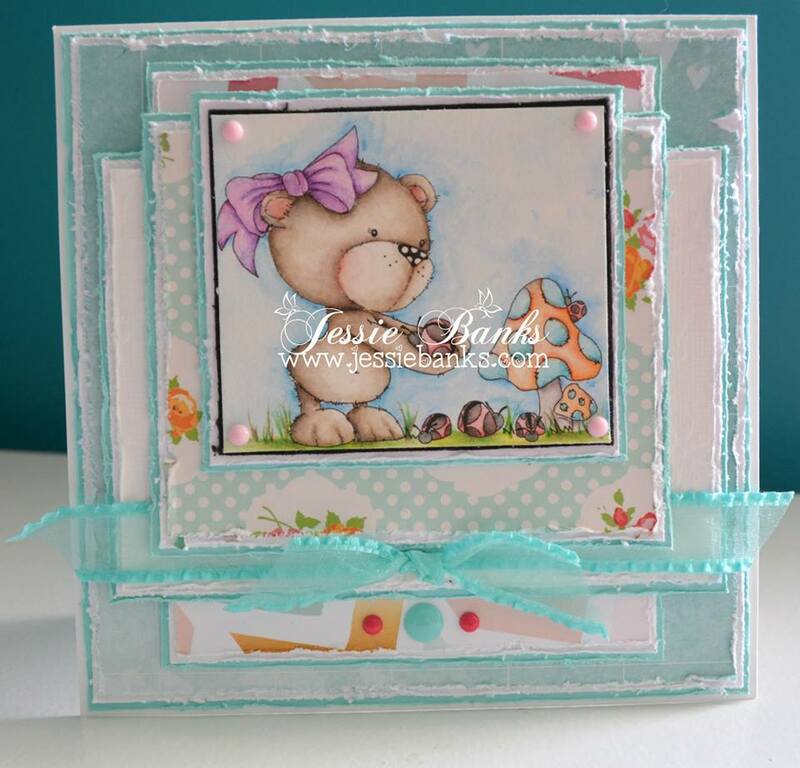 The sentiment is from the Serenity Collection and the flowers are from Octavia Moonfly Collection. 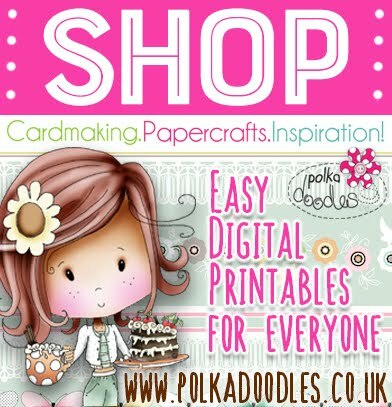 Wendy - You'd expect having to use patterned papers would make your project look quite busy, well I've gone down a different track and done a clean & simple card. All aspects of my card are from the Twiggy and Toots collection. You can also all the papers as a separate bundle here and the butterfly, which is part of the embellies bundle, can be bought here. Anjie - I have used the Oddella with Bag digi, and papers from the Octavia Collection. 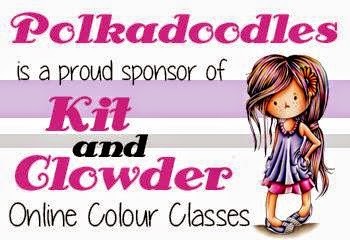 I have coloured Oddella in with my Graph'It Markers. to take a look see at your wonderful creations. 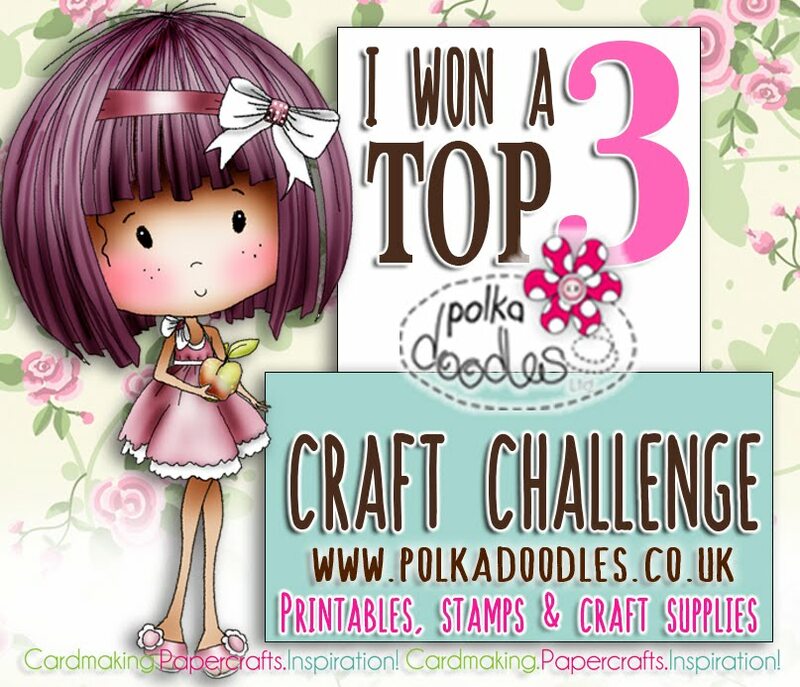 We will announce the winner of our Add some Embossing challenge next Friday.